This file is just the actual model. SolidWorks software (or third-party viewer) is required to view and/or manipulate the model. 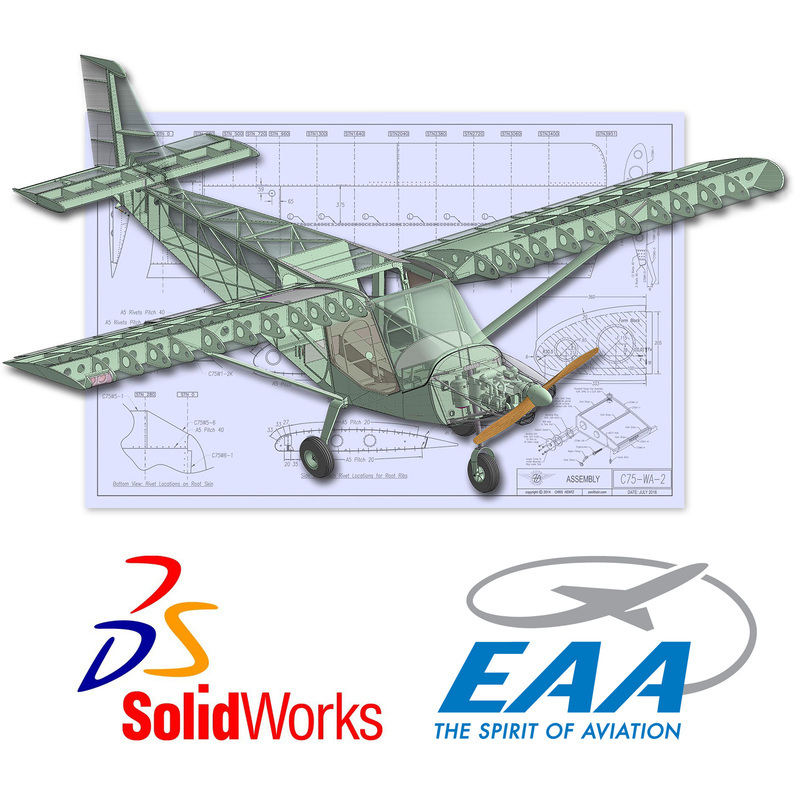 EAA members can download a free personal-use version of the software at no charge. The file is supplied strictly for personal informational use only, and is supplied as is. Zenith Aircraft Company ("Zenith") makes no warranty, representation, or guarantee regarding the information contained herein or the suitability of its products and services for any particular purpose, nor does Zenith assume any liability whatsoever arising out of the application or use of this model. It is the User's responsibility to independently determine suitability of any products and design elements and to test and verify the same. The information provided by Zenith hereunder is provided “as is, where is” and with all faults, and the entire risk associated with such information is entirely with the User. Zenith does not grant, explicitly or implicitly, to any party any patent rights, licenses, or any other IP rights, whether with regard to such information itself or anything described by such information. Information provided in this document is proprietary to Zenith, and Zenith reserves the right to make any changes to the information in this document and files or to any products and services at any time without notice.